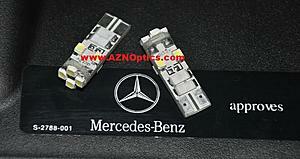 AZN Optics is proud to present to the MBWorld community our line of 5W5 LEDs for the w204 model. These are super bright 360-degree shine LED bulbs with built-in load resistors,specially designed for European vehicles such as Mercedes, Audi, Volkswagen, Porsche or BMW, etc. These OBC Error Free T10 Wedge LED bulbs will replace the stock 168, 194, 2825, 2821 or W5W bulbs. The length of this T10 LED bulb is approx 1.15 inches. Since this T10 LED bulb is slightly longer than the stock wedge tungsten bulb, so buyers must make sure the this T10 SMD LED bulb can fit into the housing before buying, but I have verified that they will fit in eyebrows, sidemarkers, and license plates. They are kind of snug and sit right up against the lens housing in the sidemarkers and plates, but through my testing, no damage has been caused, but it is up to the individual buyer to determine if this is fine with them. Each LED bulb equips with 8 pieces High Power 1210 SMD CREE LED Chips, with built-in Load resistors. If you're not familiar with CREE, they're basically the best on the market. Most professional detailers prefer to use CREE LED chips for their lighting source for defect detection due to the high quality output. Like that hair hair regrowth commercial, I'm not just the owner, but also a client! 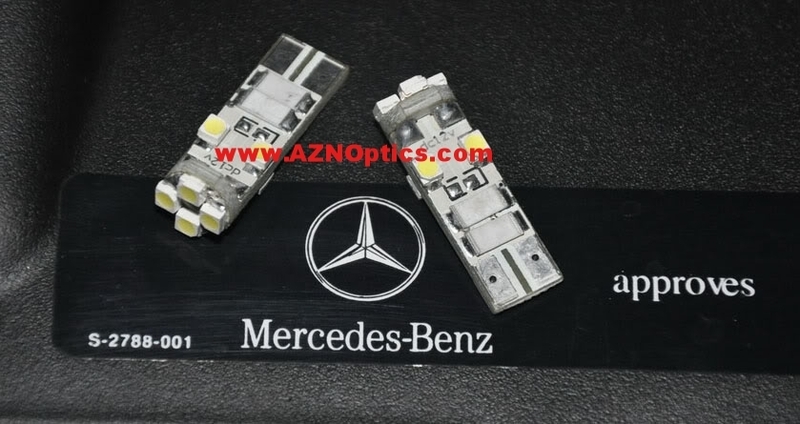 For those who know me, they know that those in the w204 community searched long and hard for high quality LEDs specifically for our eyebrows that could handle the unique properties of that location. All other LED makes out there just plug their LEDs in and if they turned on, called it a day. What they failed to see was the voltage shift while driving which caused LEDs to shift color from white to blue, and blue to purple! Also their circuitry couldn't handle the increased voltage and caused the LED to prematurely fail and in some cases, damage the connector! I worked with the engineer on these LEDs to specifically handle the unique properties found in 204 eyebrows and so far, the results have been outstanding. Many out there are now currently using these and loving them. I accept Paypal payment, cashier check, money order, or personal check, but for personal checks, will need to wait till clear before ship. Oh, and shipping is FREE! (to continental US and Canada). PM me if you're in some other country and I'll get shipping quote to you. I ship USPS first class to cut your costs. Tracking option is available at an additional cost. For you Canadians, just as an FYI, Canadian Customs is retarded and like to hold your shipment so expect some delays. If you pay via Paypal, please send payment to [email protected] and PLEASE include your username, address, quantity, and color in your payment message to ensure no issues. If you're on stock xenons, I'd highly suggest the whites as that will match best with your setup. Your eyebrows require 2 LEDs per side, so you need a total of 4 LEDs or two sets for eyebrow conversion. This is a simple DIY and makes a dramatic difference. These LEDs have been fitted to w211 city lights and w209 black series city lights and work great! If your model isn't listed here, message me for super special cut rate prices to serve as my test fit vehicle! We here at AZN Optics look forward to bringing you high quality lighting products and wholesale prices. Please feel free to PM me with any questions! Last edited by AZN Optics; 07-17-2010 at 02:04 AM. Can they make amber LED for sidemarker? They can, but there isn't enough interest here to justify big order of those honestly. Most who upgrade to LEDs want to better match their HIDs/bi-XENONs. For off color like yellow, might as well just get polargs or piaa amber wedge bulbs. Hmmm... how do the white look with the stock non-xenon lights? No pics, but quite a bit whiter (and brighter) I'd imagine. Honestly, if you're on stock non-xenons, just stick with polargs or piaa bulbs as you'll get a better match. payment received. Will ship out first thing tomorrow. Im so happy to see this! You think the 5000k would match P1 lights better? If I get the 5k's I should buy some Philips CVs to complete the look? 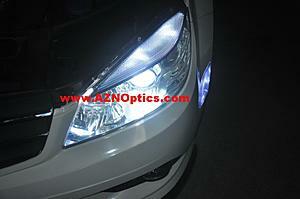 Just ordered 3 sets and also getting some Phillips CrystalVisions for the low beams & fogs. First mod, can't wait to get them and install! Remember to post pics so people can see how they compare to PCVs. Just placed an order for the whites! Can't wait till they get here! Just ordered 4 sets for the eyebrows, side markers, and license plate. I am still trying to decide what to do with the headlights and fog lights, as I have halogens. Spent a few hrs. 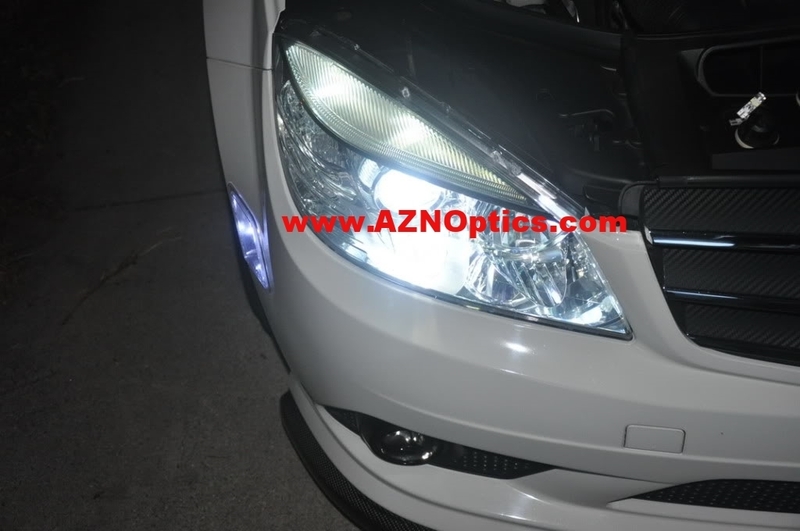 last night reading on the Halogen Clearvision, etc., and everyone seems to complain that they burn very quickly (less than 1 yr) I am also looking at HID's, but I want the low beams, high beams and fog lights, and I need to figure out where to install the ballast. I also ordered some Lamin-X, tint color for the headlights and fogs. I look forward to these mods. Regarding the ballasts, it shouldn't be a problem, just zip tie your low and high together, double side tape to your wheel well, reinforce with another zip tie or two to reinforced. Fog ballast can be attached to inner side of your bumper. Lots of space. i've read that the the fog HIDs can be installed via the the wheel wells (without removing the bumper). has anyone done that? 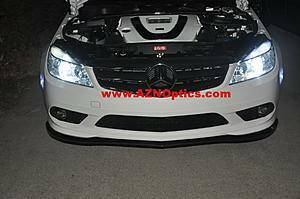 You can install HID fogs through the fog grilles that's attached by only 3 screws. cool. tks for the tip! i think i'm going to try that. LED's arrived today. Already installed. . Thanks Michael. Finally had some time to install my 5000k LED.